One of the more popular entries in this continuity was Spider-Man and his Noir version was prominently featured in various media other than comics, from videogames to animation, although not so much in action figure form. 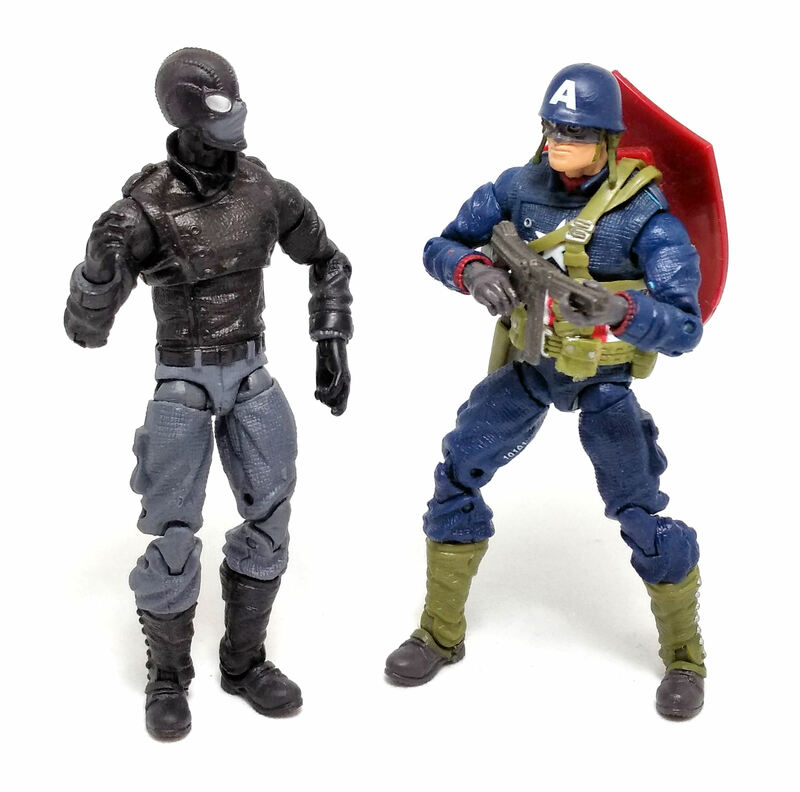 That is, up until 2016, when Hasbro decided to include Spider-Man Noir in their 3.75-inch Marvel Infinite Series line. 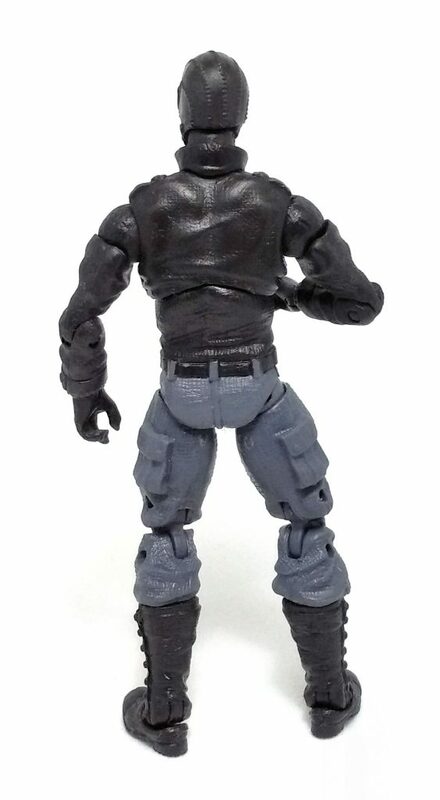 Right off the bat, let me state that except for the head, this Spider-Man figure is about 90% of the molds used to produce the Battlefield Captain America figure, from the first Captain America movie line, which is both good and bad for a number of reasons. Among the positives, the whole sculpture is very detailed and full of textures that represent different materials quite effectively. The head has a certain steampunk vibe that goes quite well with the rest of the suit. Despite the very impressive articulation design, the fact is that both the hip and the shoulder joints have a rather limited movement range, preventing Spidey Noir from adopting deep crouches or grabbing his own hands. 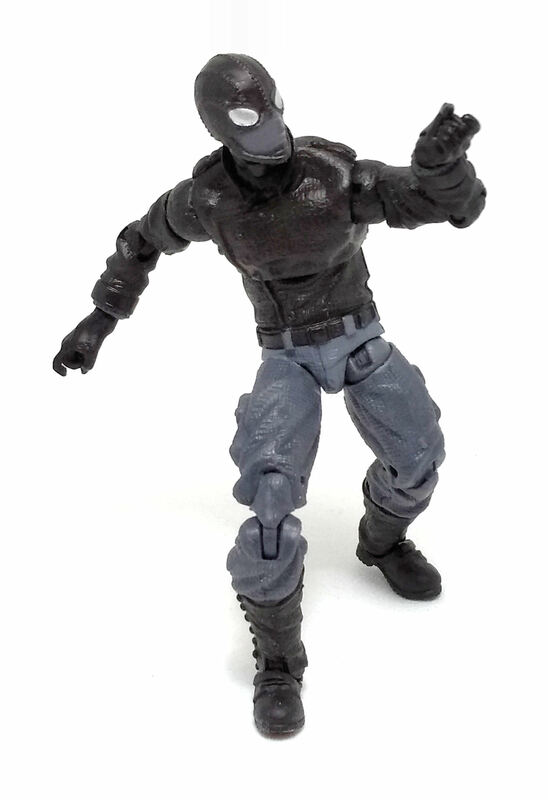 The color palette for the Noir arachnid is rather somber, being mostly limited to gray and black, with silver on the goggles, but for the most part the paint applications on my figure are quite clean and precise. 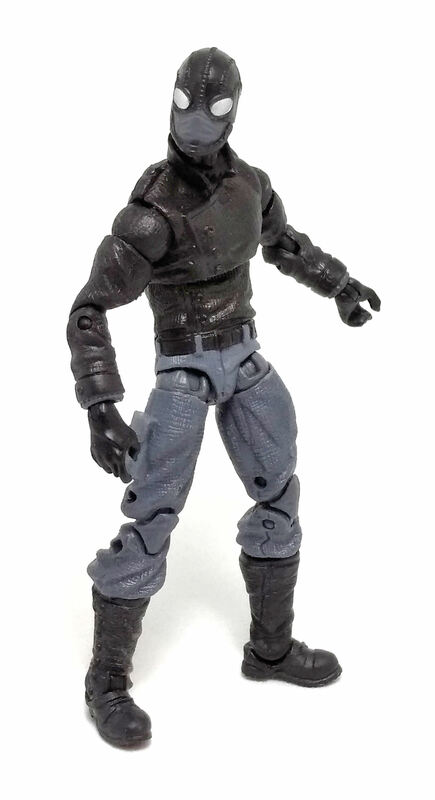 Spider-Man Noir is often depicted in the comics as wearing a trenchcoat and furthermore, he is not shy about using guns in addition to his spider-like abilities while fighting crime in the 1930’s New York, but this action figure lacks any accessory, which is a shame since Hasbro already has a vast library of pieces to complete the classic look for this character. Still, I don’t regret purchasing this of Spider-Man one bit, as the Noir/Pulp feel from this costume is enough of a draw for me.